This is not a new recipe for MMoM, in fact, I posted this recipe for Roasted Chicken with Potatoes and Mushrooms not long ago. It is an old stand-by and one of the reasons I included it into my first cooking class at the Greensboro Children’s Museum Edible Schoolyard. A roasted chicken is one of the most versatile things you can learn how to make – and while it seems daunting, it is surprisingly easy to do. I remember screaming with my college roommate the first time we put our hands on a raw chicken – oh but what a sense of satisfaction it was once complete! There are tons of tricks – from trussing to basting – which I don’t see 100% necessary. 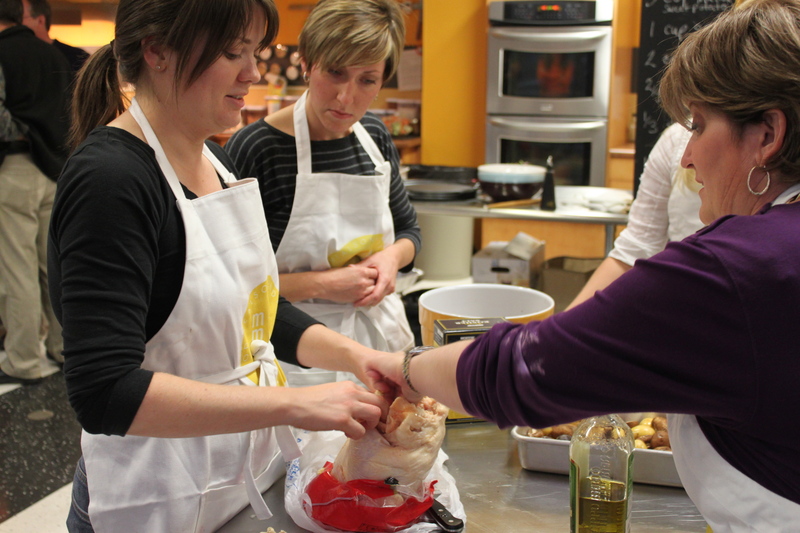 Learn the basics, get messy, even get squeamish once (or twice) – it will be worth it. The wonderful thing with roasted chicken, too, is that you can make a delicious chicken stock with leftover bones and back meat, and anything that doesn’t come cleanly off the carcass. And there is a wishbone! And then there is the taste testing!!!! 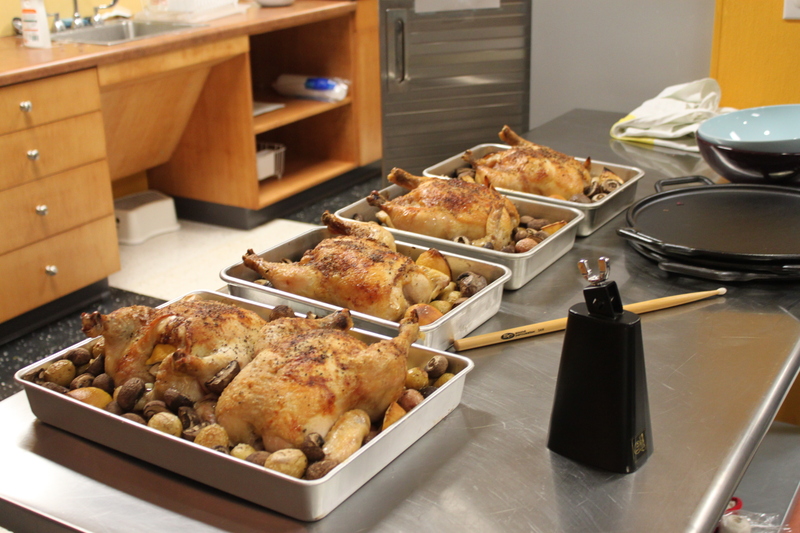 the idea of roasting a chicken does sound daunting!, but if you say it’s easy, i may give it a try. you make cooking look so effortless!